Hello, and welcome to the Halo News Network, dedicated to hosting news articles and buzz from all around the Halo Community and Halopedia! You'll find everything from the latest game announcements, the latest Community news, to the latest shenanigans from 343 Industries, and so much more. Make sure you follow us on Twitter, Facebook, or join the Discord Server for up-to-date news coverage! 6 Where to reach us? To see more stories, articles, interviews, etc. from the past, check out the News Archive page. Check back later for exclusive interviews, reviews of the newest products, or random news stories. If you need to reach a member of our team, message us on our User profiles. To join the team please, by submitting your application here, and the team will review the submission. 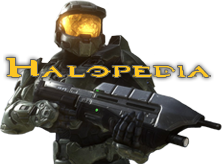 If you have a news tip or submit your article, please message it to one of our News team, with the title "Halopedia News tip", or reach us on Twitter or Facebook.